Klara Zieglerova has been designing extensively for theatre in the United States, Europe and Asia. Her work has been seen on Broadway, where Ms Zieglerova designed Sister Act at the Broadway Theatre, directed by Jerry Zaks, The Farnsworth Invention by Aaron Sorkin at the Music Box, directed by Des McAnuff; Jersey Boys at the August Wilson Theatre, directed by Des McAnuff and The Search for Signs of Intelligent Life in the Universe at the Booth Theatre, directed by Jane Wagner. In London’s West End she has designed Sister Act at the London Palladium and Jersey Boys at the Prince Edward's Theatre. Ms Zieglerova has received a Tony Award nomination for her design of Jersey Boys. Klara has designed numerous productions all over the United States at theaters such as the New York Public Theater, Manhattan Theatre Club, New York Theatre Workshop, Irish Repertory Theatre, La Jolla Playhouse, Cincinnati Playhouse, Dallas Theater Center, Portland Center Stage, Seattle Rep, Florida Stage, Williamstown, and others. Her design credits in Japan include an interior of a pavilion at the Expo '90 in Osaka Kokusai Hana to Midori no Hakurankai, production of Othello at the Chikusa Playhouse in Nagoya, The Who's Tommy at the Pocket Theatre in Tokyo, Diary of Anne Frank at the BonBon Theatre in Tokyo and The Goat at the TranceMission Theatre in Tokyo. In Europe, Ms Zieglerova has worked for Stage Entertainment on productions such as Saturday Night Fever at the Beatrix Theatre in Holland and Sister Act in Hamburg, Vienna, Milan and UK & Ireland Tour. In Ireland shedesigned the productions of Eden (by Eugene O'Brien) and Wrecks (by Neil LaBute). Klara designed the interior of the New World Stages in New York - the home of five Off Broadway Theatres (www.newworldstages.com) and the US National Exhibition at the Prague Quadrennial 2015 (http://pq15.usitt.org/). 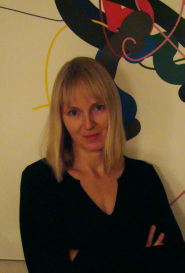 She is a member of the International Board of Prague Quadrennial 2019 as well as a curator of its Fragments exhibition (www.pq.cz). Ms Zieglerova has won The Green Room Award 2010 (Australia) for Best Design of a Musical, The Best Set Design of the 2009 Theatregoers’ Choice Award London (both for Jersey Boys), 2005 Lumen Award (New World Stages), 2003 Drammy Award for Best Set Design; 2000 Carbonell Award for Best Set Design; sets for the Best Touring Production, 2003 L.A. Ovation Award.